Leo is released from prison after serving time for car theft. His plan to go straight falls apart when he meets his corrupt uncle for a job and later an old friend working there. It culminates at the (railroad) yards. when opinions are this polarized. . .
. . . you know you've got a movie that tried something different. Not NEW, necessarily, as The Yards is paced, structured and shot like it was made before 1976. But you don't see that often these days. The Yards is an entertaining and noble attempt at a tribute to crime films of that era. I have friends who don't have the attention span to sit through The Godfather(on some days neither do I) - I wouldn't recommend this film to them. Reared as our younger generation was on Spielbergian and MTV-cut films, the pacing of both that film and The Yards are slow and deliberate - sometimes hard to take. The Yards could have used a bit of tightening up in editing, just seconds off of a scene here, a scene there to move things along, but still, it's a strong film. The first thing that caught my eye was the sparse dialogue. There's a lot of acting going on here, and not of the scenery-chewing variety (recent Pacino). The actors are given a lot of room to act with their eyes and bodies. You're not hit over the head with 2-D stock characters, although it may appear so at first. The story is genre: ex-con, returning to his New York borough neighborhood falls right into the same circles that got him in trouble in the first place. What follows is a story of corruption, redemption and family; structured almost as a Greek Tragedy. But quietly. There are no "good guys" or "bad guys", as almost everyone is on the make. The overall impression projected is that everyone is protecting their own and trying to succeed in a system that they live in - not one they created or control. 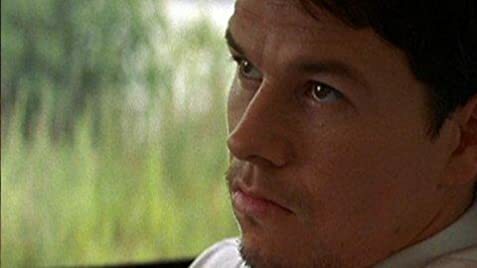 Mark Wahlberg isn't a great actor, but he delivers what the character requires. Charlize Theron isn't in her element playing a Queens-chick, but aside from a faltering accent, she does pretty well. Excellent acting is delivered by Joachin Phoenix, as well as veterans Caan, Dunaway, and Ellen Burstyn. The Yards is a good movie, although admittedly, not for the "average" movie-going audience. It likely won't meet their expectations of what a "good" movie is. The film cast includes three Oscar winners: Charlize Theron, Ellen Burstyn, and Faye Dunaway; and three Oscar nominees: James Caan, Mark Wahlberg, and Joaquin Phoenix. When Leo looks in the rear view mirror and sees Willie and Granada taking off their clothes, they are on the driver's side of Granada's car. When he turns around and looks, they are now on the right side of the vehicle. The Unrated cut is 113 minutes and two scenes from the original theatrical R-rated cut have been removed. This version is about two minutes shorter. The final scene in court when Leo testifies and states that he has reformed and is reentering society as a productive citizen, has been dropped. A brief scene early in the film in which Willie (Phoenix) describes the importance of favors and gifts and "making it happen" is also cut (this scene however does appears on the included trailer on the DVD). The end credits now begin with 'empty' views of the film's settings before moving into the credits list. Also included on the DVD are several deleted scenes.